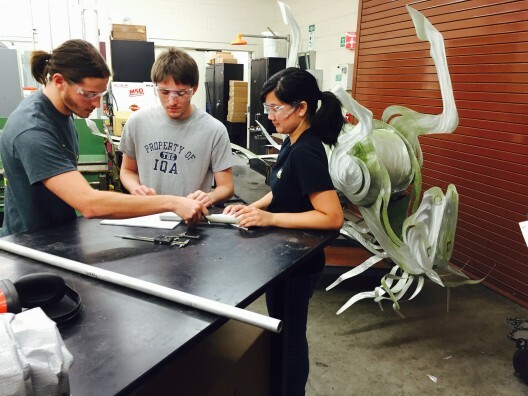 Engineering students, from left, Anthony Defilippo, Cullen Fitzgerald and Jennifer Ambrose repair the damaged "Wind Dancer" sculpture of Pegasus, which lies hobbled on its back in the Manufacturing Lab at the College of Engineering and Computer Science. Burnett Honors College alumnus Jeff Douglass, ’02 — the founder and CEO of Cybis Communications who contributed significantly to the original cost of the sculpture in 2007 — has offered to cover the cost of repairs. As it turns out, those costs should be minimal. “It should be sturdier after we fix it and make these modifications,” Defilippo said. 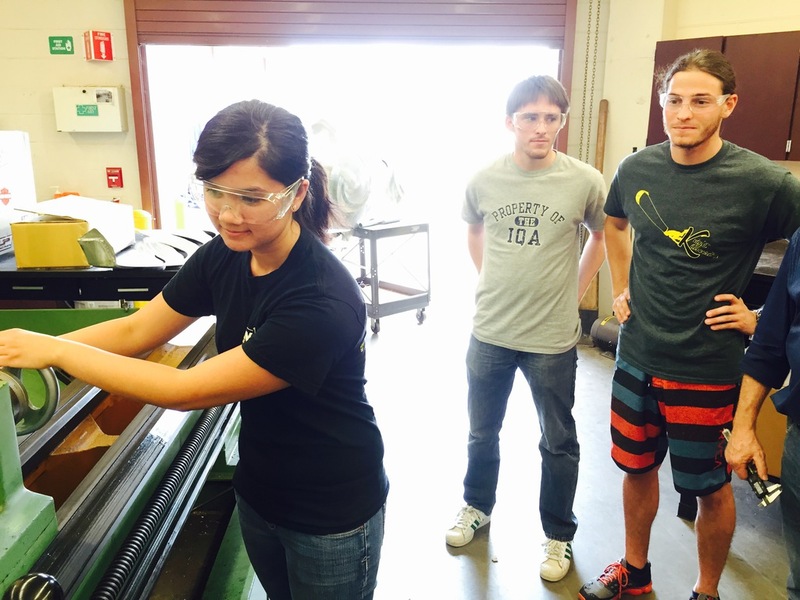 Gordon’s research focuses on fatigue that causes materials to fail after repeated stress. The damage to Wind Dancer is a good example, he said, and provides his students with an opportunity to see material failure in the real world. my boy cullen doing his part!!!! look at that cool kid!!! !